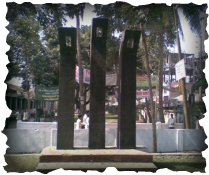 Since the medieval age, Netrakona is a famous place for folktales and folk music. The district itself is filled with history, but it is also surrounded by some other famed historical places. 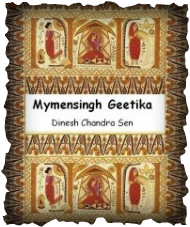 The Mymensingh Gitika is a high up example, which was even inspired Roma Rola so much is a large part of the heritage of the Netrakona district. The geographical feature of Netrokona is that on one side there are the Garo Mountains that mark off the Indian border. On another side there are the large areas in Sunamganj district, full of the rich history of Hasan Raja. On the other two sides are the plains of Mymensingh and Kishoreganj. Because it is surrounded by such immense natural beauty, throughout the history of this country, saints, bauls, thinkers and writers have gravitated towards the region. Netrakona, formerly called ‘Kaliganj’, is located in the central Bangladesh - which is a part of the Dhaka Division. In 1787 the British established the Mymensingh District as an administrative unit. Today’s Netrakona District was included, as well as Kishoreganj, Jamalpur, Sherpur and Tangail. In 1826, Netrakona was called Nator kona. Big landlords, called zamindars, who came from a region called nator, near Rajshahi, leased the land from the British. Kona means ‘corner’ and so the place was called ‘nator corner’. However, these zamindars were soon forced to leave by a protest movement of the farmers because they exploited the people. They were followed by zamindars from Gouripur under Mymensingh District who were Hindus. Those initiated the construction of a kali temple in Netrakona town and thus the name of the city changed into Kaliganj. Ganj means boat launch. Nevertheless, the British stuck to the name Nator kona that by the time has become Netrakona. It was not until 1882, that the status of Netrakona Sadar, Kendua and Durgapur, an ancient kingdom, was uplifted to that of a `Mohokuma`, an administrative unit between Thana and District level. 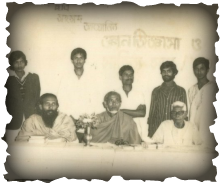 The Netrakona Sadar municipality was founded in 1887 and nine years later, Barhatta and Khaliajuri, which were only Unions before, got the status of a Thana, which means that a police station was established. Today, they are two out of ten Upazilas (another name for Thana), under Netrakona District. Latter one achieved its independence from Mymensingh on 1st February 1984 and now the district consists of 10 upazilas, 4 municipalities, 36 wards, 102 mahallas, 86 union parishads (smallest administrative unit) and 2281 villages. The upazilas are ATPARA, BARHATTA, DURGAPUR, KHALIAJURI, KALMAKANDA, KENDUA, MADAN, MOHANGANJ, NETRAKONA SADAR and PURBADHALA. 4 municipalities are Barhatta, Durgapur, Mohanganj and Netrakona Sadar. Historically Netrakona is the main center point of Mymensingh Geetika as the view of Mahua Malua who lived there and created their performances and as such, very often this district is called ‘Mahua Netrakona’. During the British Rule, Netrakona experienced many revolts, such as peasant revolt, Pagalpanthi revolt, Tonk and Tebhaga movements took place in the district. The leaders of the Swadeshi Movement killed Balak Saha of Village Borail in 1913 and Zamindar Mallick Bahadur of village Sahildeo in 1930 and looted their wealth. 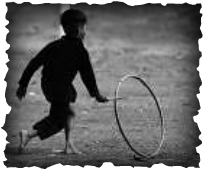 Furthermore, the three day All India Peasant Conference was held in Nagara of the district head quarters in 1945. - There are a number of century-old secondary schools in the Netrokona district. However, Netrakona Govt. College was established in 1948 and Babu Priyobhushan Banik was appointed its Founding Principal. The place where the college now stands had been donated by the then landlord Babu Virendra Dutt Chowdhury. - Netrakona Pouroshaba was established in 1887 & Ist chairmen of Pourashaba Elahi Newas Khan (1876–1926). - Archaeological heritage and relics Roail Bari Fort at Kendua, Khoja dighi (pond), palace of Maharaja at Susang Durgapur, dighi of Kamol Rani, Buddhist Math at Krishnapur of Atpara and the archaeological relics of Salki Matikata. - Locally published newspapers and periodicals Daily: Banglar Darpan; periodical: Akshar, Chetana, Spandan, Smriti-71, Bijoy, Sreejani, Matir Subas and Janira; extinct: Ayrja Pradip (1875), Koumadi (1875), Mahat Uddesha (1930), Prantabashi (1930), Julfikr (1950), Arya Pradip (1287 BH), Uttar Akas (1368 BH).